1805: Battle of Trafalgar at which Lord Nelson famously declared, “England confides that every man will do his duty”. It is estimated that Of the 18,000 at Trafalgar, 4,000 – almost a quarter – were Irish. 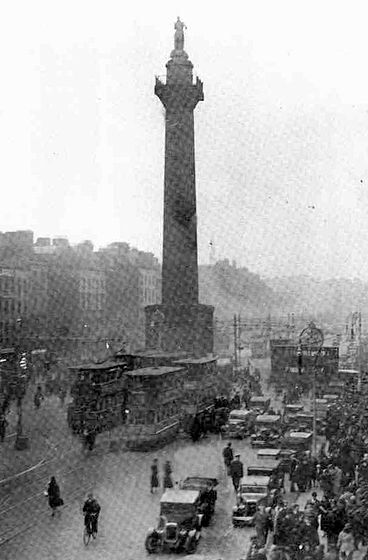 In 1808, Nelson’s Pillar was erected in Dublin. It was blown up by Irish nationalists in 1966. 1879: The Irish National Land League was founded at the Imperial Hotel in Castlebar, Mayo. Charles Stewart Parnell was elected president of the league. Its primary aim was to provide basic rights for tenant farmers and allow them to own the land they worked on.